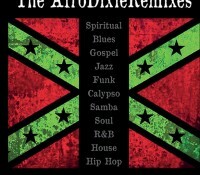 How did the “AfroDixieRemixes” come together? 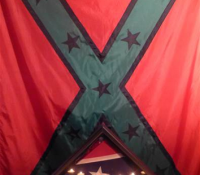 This music project was born as a direct extension of my Recoloring of the Confederate Flag project. Kenny Drew Jr., Thomas Carabasi and Richard Drexler did a jazz version of “Dixie” back in 2002; Twinkle did a spiritual version in 2003. It’s a 13-year project. Tell us about the musicians you worked with. What styles and genres do you feature on the CD? We have spiritual, blues, blues, jazz, funk, calypso, samba, bossa nova, soul, R&B house and hip hop. OK, let’s back up before you started this. What’s the germ of the idea behind this project? Well, curiosity at first — I started meditating on the song “Dixie” as a cultural artifact. If you think about it, “Dixie” was originally a minstrel song about a slave who’d escaped up North and was pining away for a slave plantation, a lover and whatever else in line with social submission. Yeah. I don’t think nostalgia is the emotion most former slaves would feel when they’re no longer in Dixie. Right! So, it was quite curious to me how this song became so popular 150 years ago — and then how it became the de facto anthem of the Confederacy and is still a darling of the South. It reflects a schizoid mindset that’s still with us today. We live in a country that’s very fascinated with black music, but not so fascinated with black people. I mean in terms of the actual issues that affect black people’s lives on a daily basis like mass incarceration and so on. So, you’re drawing attention to that contradiction. Yeah, I’m paying attention to that. In the process, I’m also drawing on and celebrating the incredible diversity of musical talent here in Sarasota. Enlisting that talent in this project over a 13-year period has been quite a challenge, but also quite rewarding in terms of the product and the response I intend to generate. I’m starting at the Blue Rooster here in Sarasota then on to the Bowery Poetry Club in New York City. After that, I’m ready to go out throughout the country and do more listening parties. By inviting poets to respond, we’ll add another very important element to experience. At the end of everything we will collection the written responses and create a publication. But just to play devil’s advocate, why dig up the past? Well, I can’t dig it up. It hasn’t been buried yet. So, you’re dealing with unfinished business. Well, that’s the whole point of the project. The idea of unfinished Civil War elements; things we’re still fighting on a material and cultural level; elements of our culture we take for granted and don’t pay attention to. I’m saying: Pay attention to to our culture, to our history, to our environment. Wake up to where you’ve been and where you are, then change it. I’m using the artists’ voice to create a context for creative resistance and remapping. Speaking of voice, it’s interesting that this is a musical project, not visual arts. Musicians have always been at the forefront of the movement to social justice. Whether we’re talking about Louis Armstrong or Lena Horne or the artists of the hip-hop movement. I think to build on that is part of my motivation. Music has the capacity to reach people on a deep emotional level. And musical venues create some of the most interesting interracial and cross-cultural interactions. Once again you’re scrambling codes. I am, but I should really say everyone involved is doing that. Working with music and re-appropriation is the method, but it’s also the aim. With each listening party, I’m trying to give people an opportunity to listen to the music and the words — and not in a passive sense. The artists transform the music on the songs. The audience will complete that transformation in their minds. That’s just another way of saying you’ll never hear “Dixie” the same way again after this experience. And I guarantee you won’t. The AfroDixieRemixes: A Sarasota Listening Party takes place Monday, Oct. 26, 8 p.m., at the Blue Rooster, 1525 4th St., Sarasota. 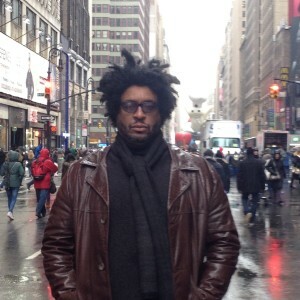 The event will include selections from Sims’ CD, with responses by Shahid Avraham, Lois Betterton, Su Byron, Matteo Kelly, Michael Paragon, Meccasia Zabriskie and other area poets. Co-hosted by Sims and Anything But Broke. Doors open at 6:30 p.m.; $15 cover includes a copy of the CD. For reservations, call 388-7539 or email johnsimsprojects@gmail.com. 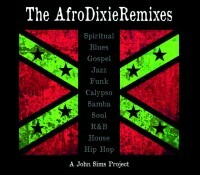 The AfroDixie Remixes CD features performances by Johnnie Barker, Thomas Bentley, Patrick Bettison, Skunk Boogie, Thomas Carabasi, Ally Couch, Scott Curts, Ann Declercq, Kenny Drew Jr., Richard Drexler, Alan W. Fuller, Geno, Henry Porter Jr. and the Assembly of the Young and Gifted, Steady Joseph, Nigel Lewis, Michael Mendez, Michal Rizman, Sal Sax, John Sims, Brandon Sommers, Eddie Tobin, James Vernado, and Twinkle Yochim.